Gaiters are protective clothing that fit over shoes/boots and possibly your legs. They keep dirt and debris out of your shoe and with tall ones keep snow out as well. I had been wearing some wonderful Running Gaiters made by the company Dirty Girls. They were light weight and worked great. One of the issues I had with the new shoes was regarding the sticky Velcro needed for the gaiters on the heel of the shoe; it wouldn’t stick. At all. The old gaiters require the Velcro to attach to the shoe, so I was stuck. 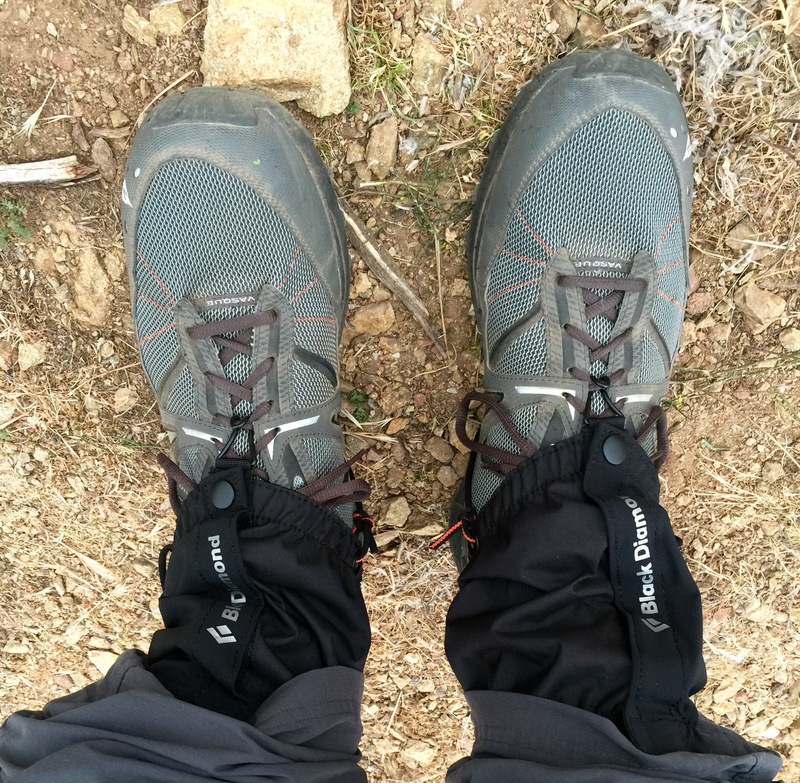 I couldn’t figure out what was going on with the special rubber used on the shoe in the time I had, so I gave up and purchased a new pair of gaiters. These use a cord that wraps under the shoe to hold the gaiter down and are made by Black Diamond. I don’t like them as well, but with low top shoes I needed SOMETHING to keep the trail out. Good luck with your gaiters. I think it is more fun to wear “dirty girl” gaiters, especially for a guy, but Black Diamond will have to do. Shoe Goo is handy for repairing worn places on your shoes, and for attaching Velcro to the back of your shoes. It’s available in hardware stores.